Can Chimps Be 'Persons' Under The Law? 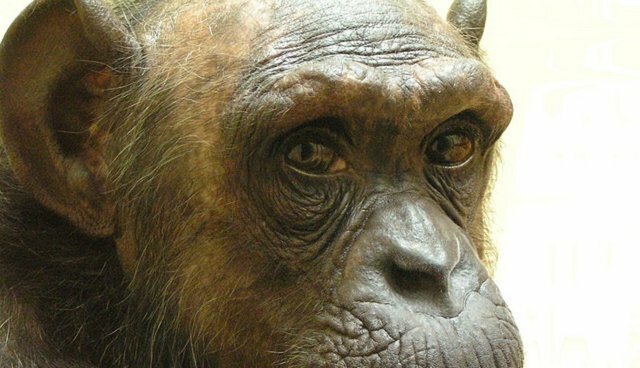 A group of judges heard arguments on behalf of Tommy, a 26-year-old chimpanzee, at the New York Supreme Court Appellate Division in Albany on Wednesday. The case is an appeal of a decision handed down last December that said Tommy couldn't be treated as a "legal person." Lawyers from the Nonhuman Rights Project (NhRP), the organization that brought the suit, are asking the state to grant a writ of habeas corpus, a measure that protects prisoners from being held illegally. Tommy lives without other chimps as a pet in a shed in Gloversville, New York. NhRP argues that Tommy should be moved to one of several sanctuaries that have offered to take him, so he can be free from confinement and live with other chimps. "The NhRP is pleased with today's oral argument which was presented to a packed courtroom. We were allotted 10 minutes to argue, but given 22 minutes. The court was well informed and actively engaged. For virtually the entire time the panel asked questions that went to the heart of the case. We do not expect a decision for another four to six weeks." She also said that more details from the case will be released later Wednesday night. The fight for chimp "personhood," a battle that was chronicled in an excellent cover story in The New York Times Magazine, aims to afford chimps bodily liberty - meaning the right not to be kept in a small enclosure or in solitary confinement. The writ of habeas corpus has often been used in history to force the owners of prisoners, slaves or indentured servants to appear in court and explain themselves. The case also involves the fate of three other chimps in New York: two of whom are being held as research subjects, and one of whom is a pet like Tommy. NhRP plans to file appeals on behalf of all of them. Prosin told The Dodo last week that this case is just the beginning for the idea of "legal personhood" extending to animals. NhRP plans to argue similar cases on behalf of elephant and cetaceans like whales and porpoises in the coming years. Read more about NhRP's case here.